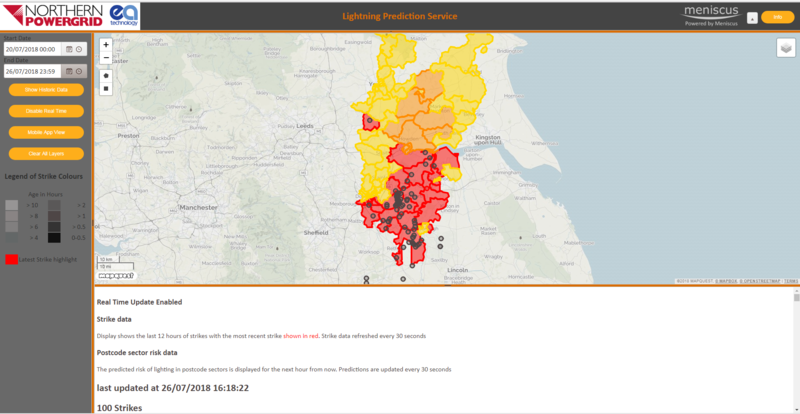 MAP Lightning predicts the path of lighting strikes for the next hour and displays the risk for each postcode sector in the direction of travel. 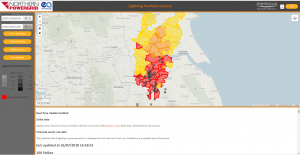 Risks are updated every minute as new real time strike data is imported and the algorithm takes into account the historic strike density per km2 and increase/decrease in strikes over the preceeding 15 minutes. Show postcode sectors at risk over the next hour. From yellow (low risk) to Red (high risk). Risks dynamically update as new strike data becomes available.